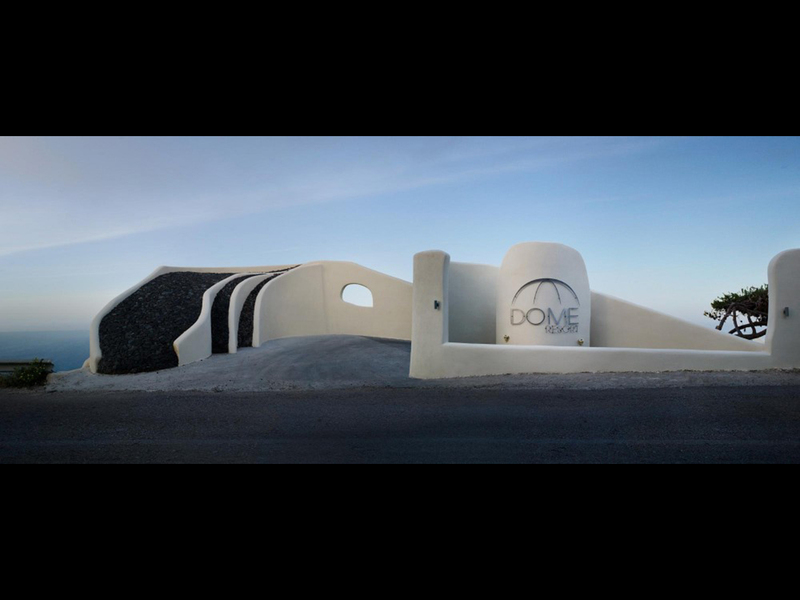 In terms of design, the "Dome resort' masterplan was based on the evolution and transformation of soft curving forms. 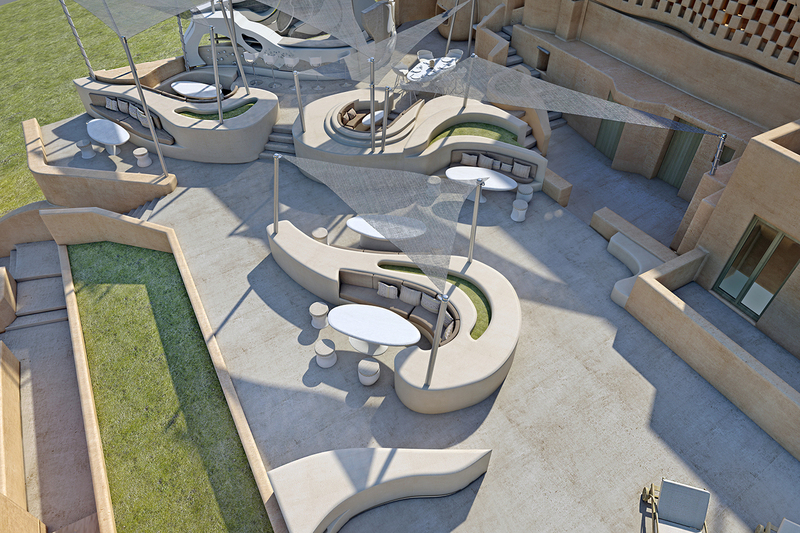 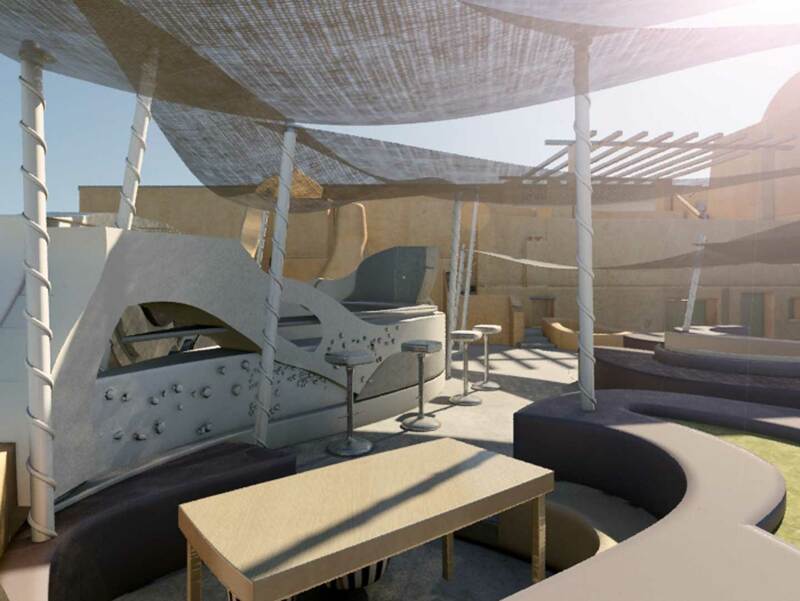 The organic minimalist form, which is at the heart of our landscape design, flows from one transformation to the next, forming walls, then seating benches, then evolving into parterres, pools, yards, bars and restaurant spaces. 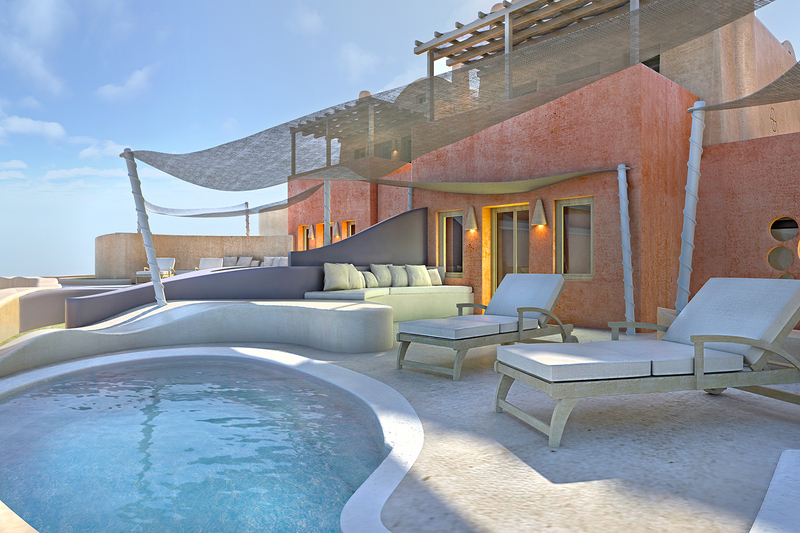 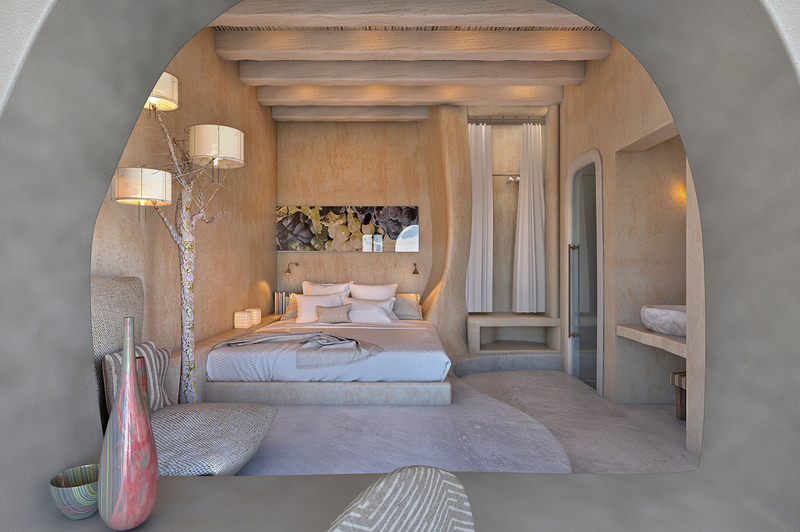 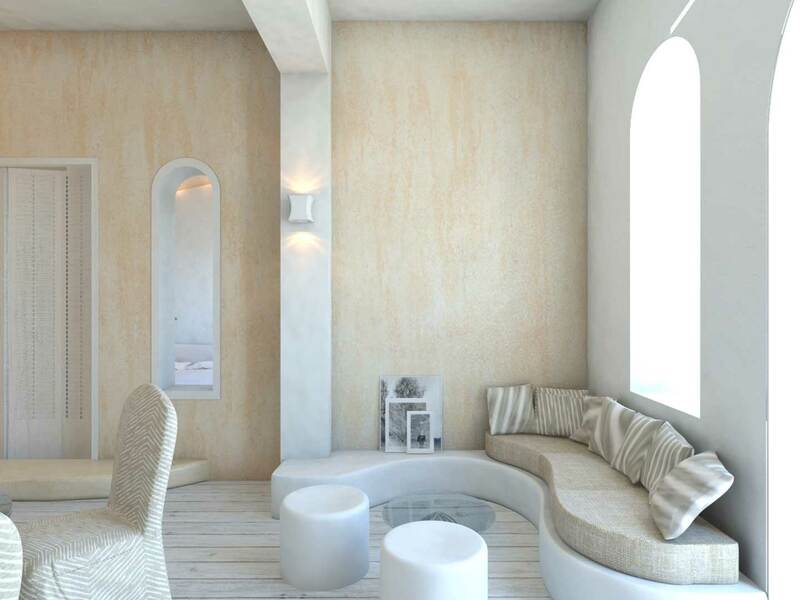 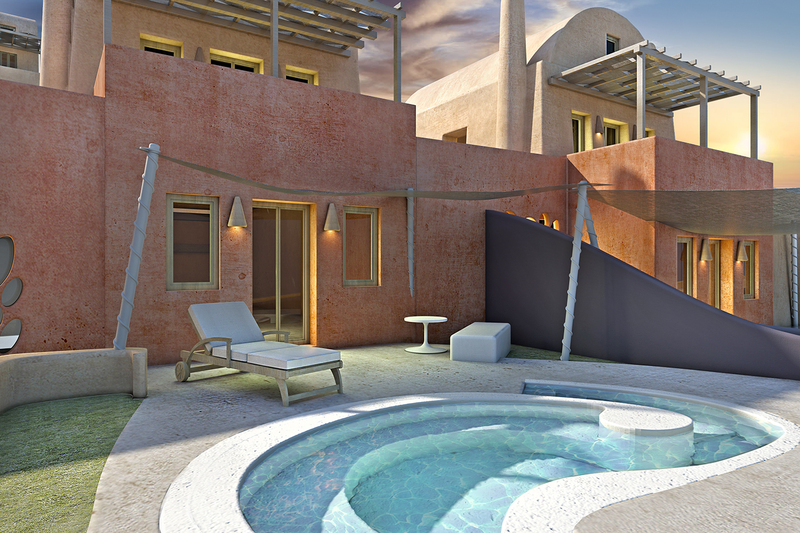 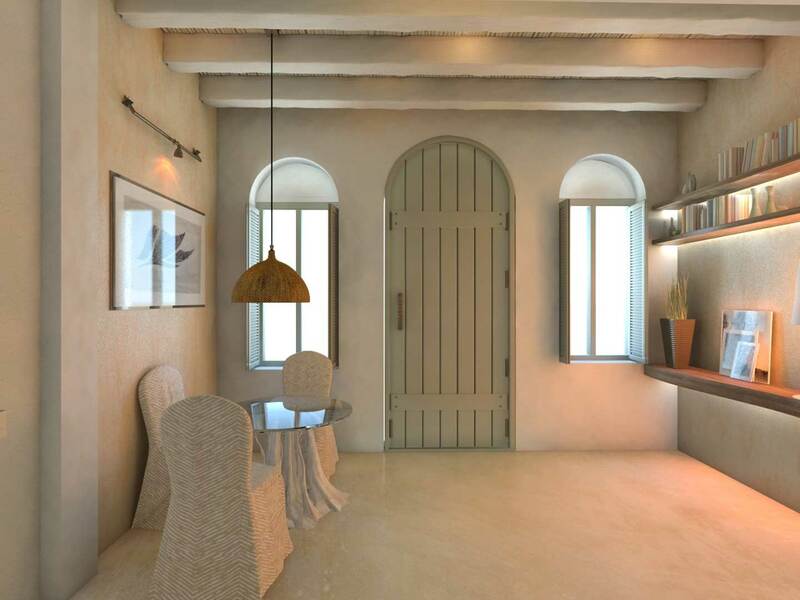 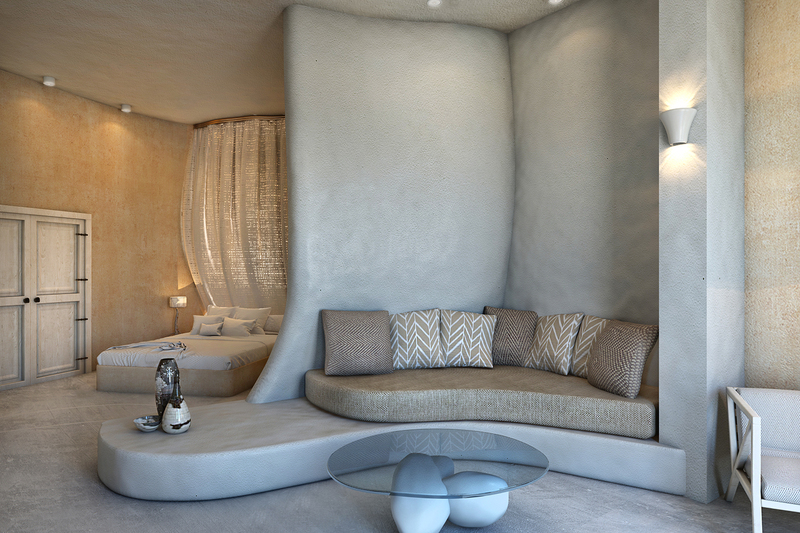 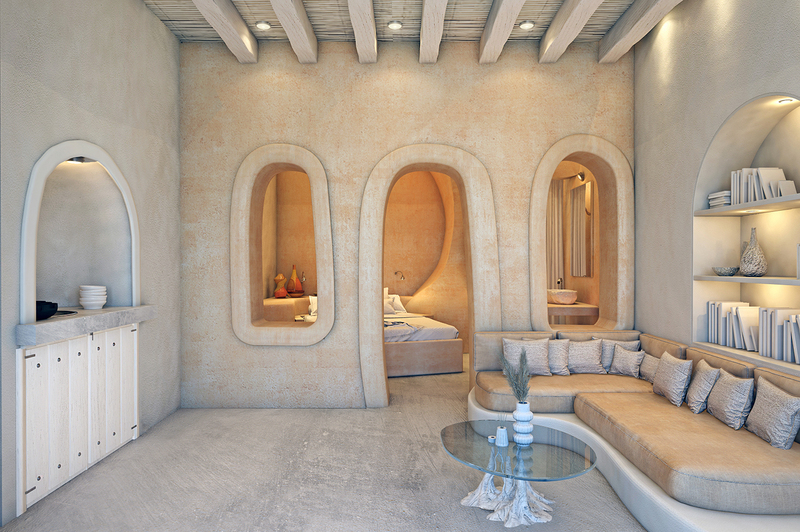 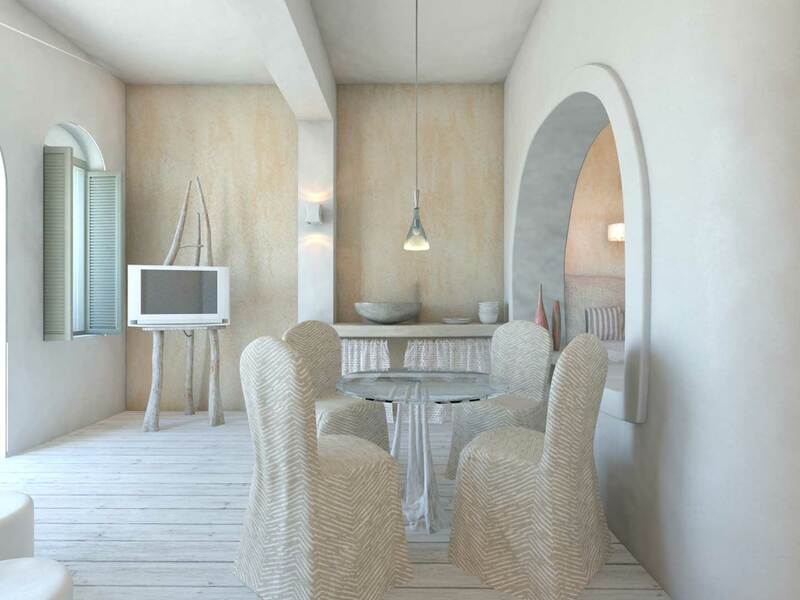 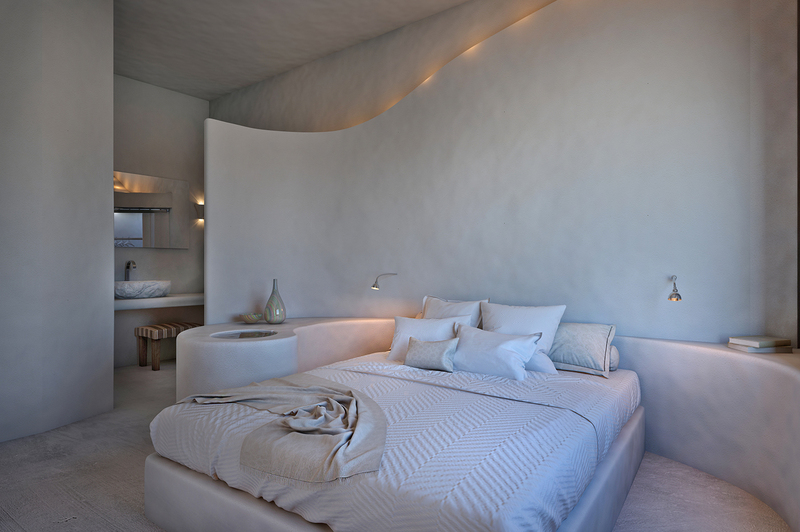 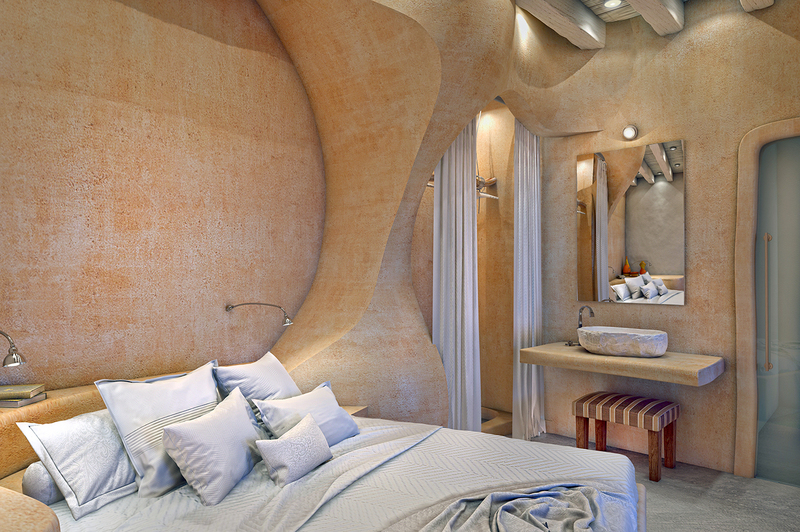 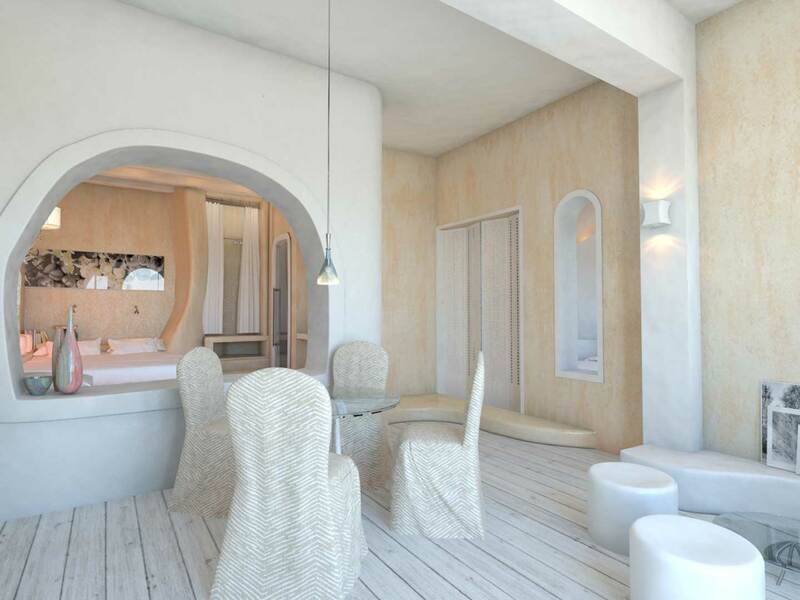 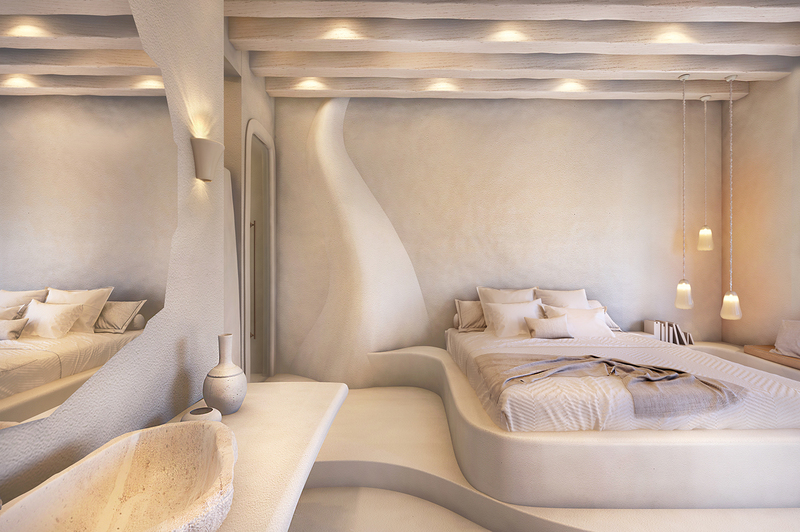 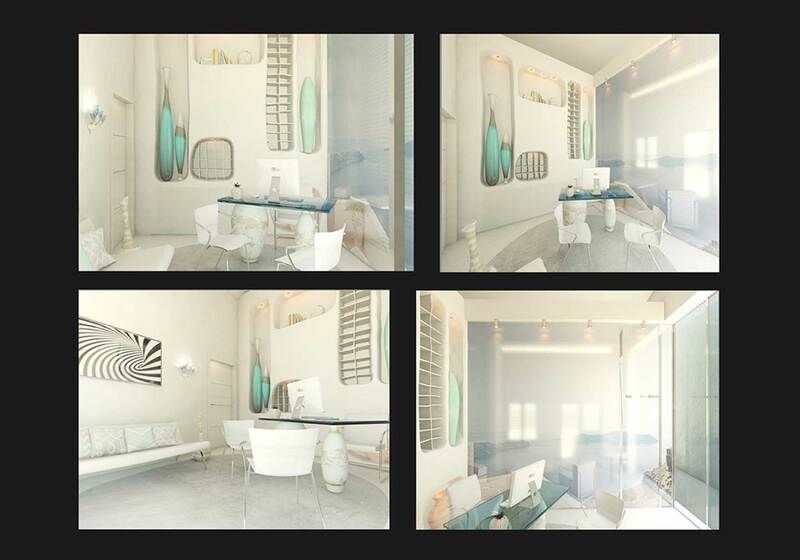 The flowing lines and embracing spaces provide seclusion, while ensuring uninhibited sea views to the villas’ visitors. 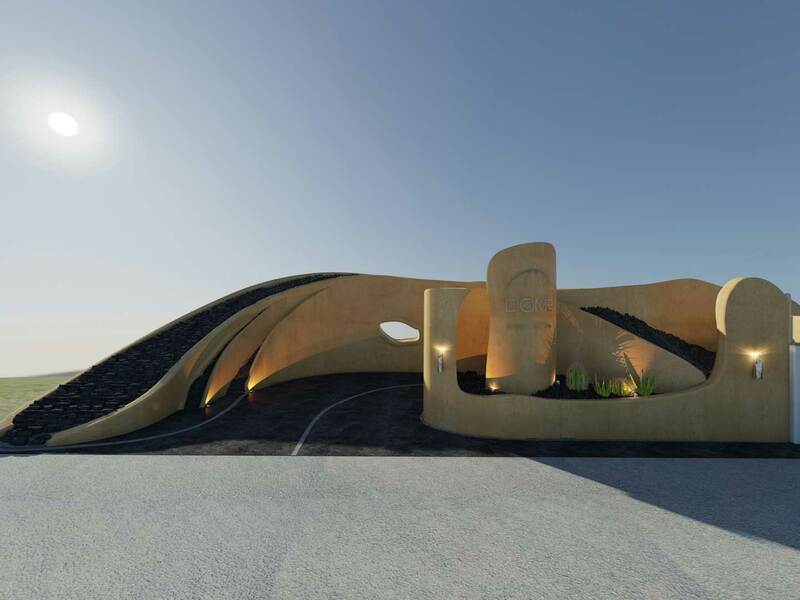 With this organic form as a constant reference throughout this landscape, the variations in scale, texture and colour create an interplay, underlined by the strong light-and-shadow contrasts of the Mediterranean climate. 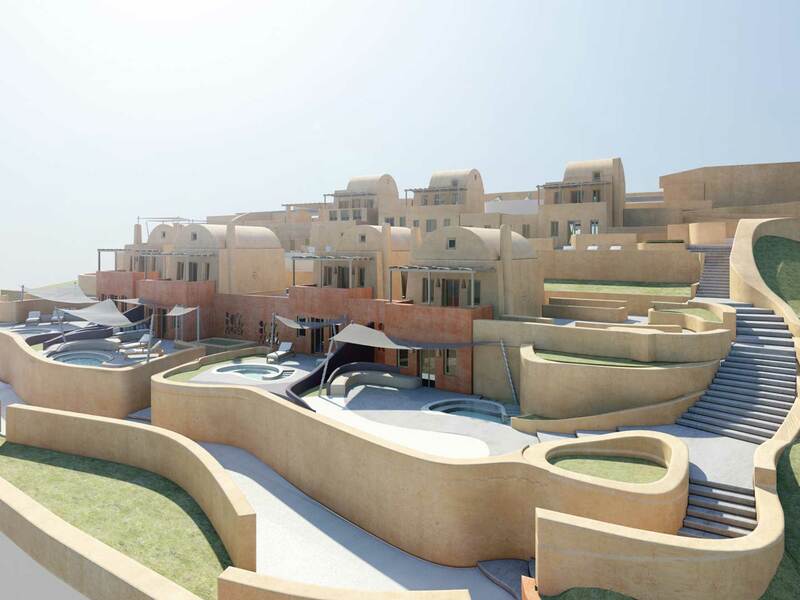 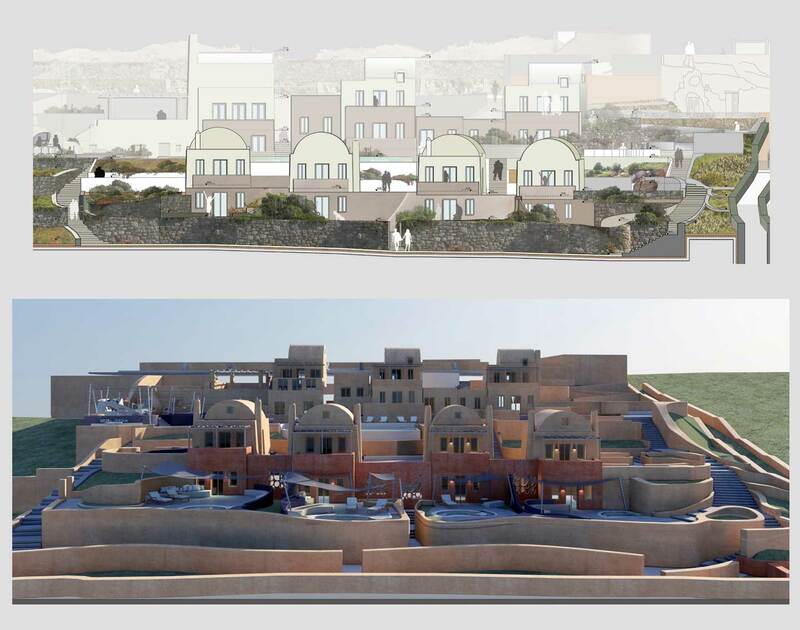 However, the aesthetic and architectural characteristics of the island’s traditional villages have also been drawn upon, to ensure the design respects and blends into the local history.